Austin’s food and beverage scene is a hotbed for exciting, new concepts, and the many restaurant openings each season prove it. 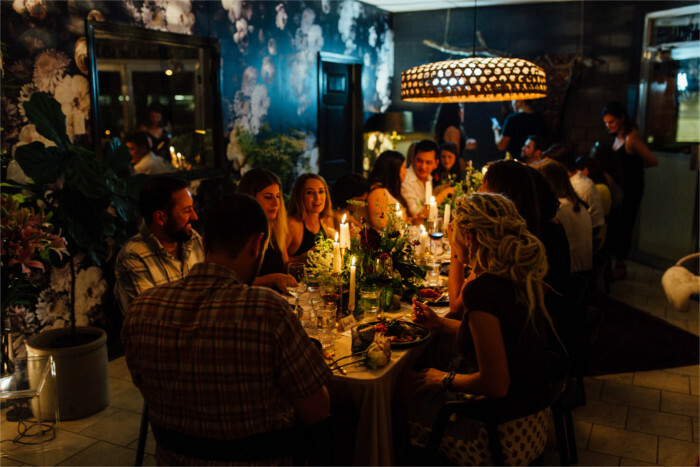 It’s no surprise that pop-up dinner concepts have been making their way onto the scene. These three Austin supper clubs, a mixture of newcomers and proven concepts, are currently the talk of the town. Foster ATX took form after a backpacking trip across Europe by friends Stephanie Gutierrez, Sara Barge, and Shelby Goodwin. After traveling to 11 different countries and being inspired by the food and music in every city, the trio decided to find a way to share the talent that surrounded them. The official website launched in May 2016. 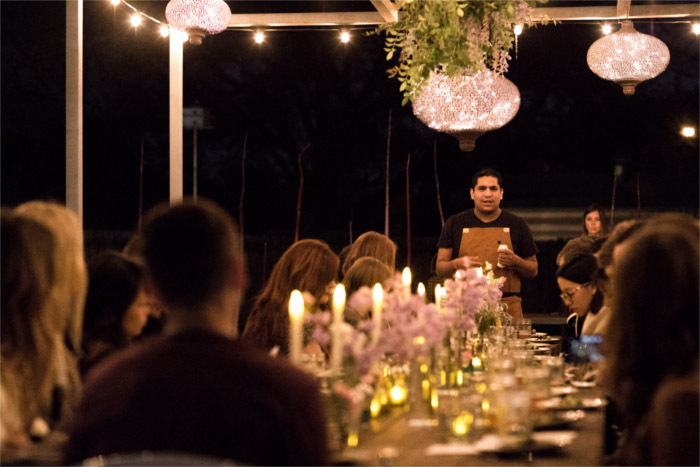 Since then, Foster ATX has hosted 25 gatherings–one pop-up dinner and one concert a month. No two gatherings look alike; the main focus is to curate a night where the culinary talent feels comfortable enough to bring life to their ideas within an intimate setting. Venues vary. Past events have taken place at local businesses such as Bricolage Curated Florals, the garden at Articulture Designs, cozy backyards, and Noah Marion Quality Goods on South Lamar Boulevard. 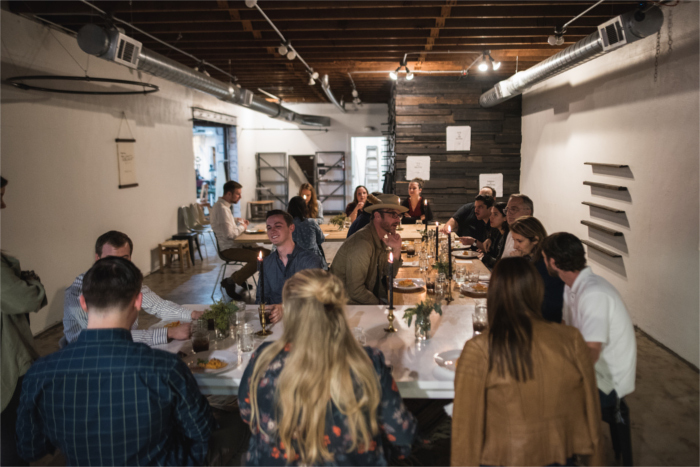 Supper Friends has been a frontrunner in the Austin supper clubs/pop-up dinners scene. Events are always held at the beautiful Swoop House in East Austin. At the helm is owner Stephen Shallcross, with Rene De Leon as head chef. The unique dinners allow guests to experience what chefs can do when given total freedom to execute the food they’re passionate about. Along with the food, beverages and wine are selected by Greg Randle, Supper Friends’ Certified Wine Educator. As of now, two to four dinners are hosted every month, with a greater frequency planned for the future. 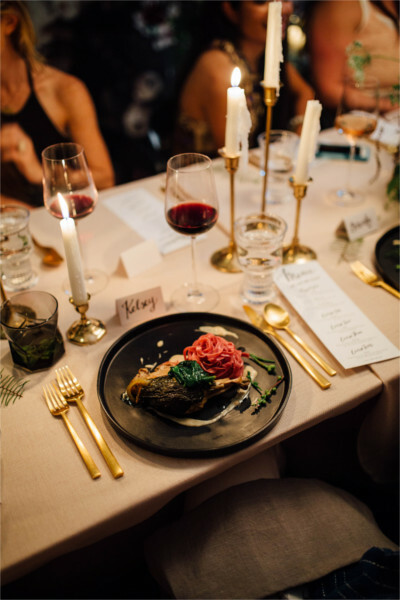 The Elephant Table launched their first dinner in August 2016. Since then, the focus has been on providing a platform for culinary and beverage professionals, creatives, and local brands to collaborate and have the freedom to test out ideas they’ve been itching to showcase. The team at Elephant Table thoughtfully curates dinner partners, and intentionally selects guests to join the experience. Hope Furst and Beth DiBaggio, both formerly of The Peached Tortilla, are the forces behind the company. Furst’s former catering experience and DiBaggio’s knowledge in the kitchen result in memorable dinners held every other month at surprise locations in the Austin area. No matter what the ever-changing environment has in store for the food and beverage industry in our city, locals will find ways to support the creative community. These Austin supper clubs and pop-up dinners keep adventurous diners fed. 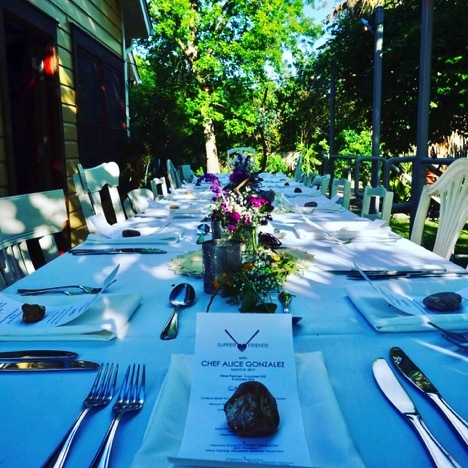 Have you been to a supper club or pop-up dinner in Austin? Irvianne Torremoro is a service industry professional and founder of Flavor & Bounty, where she enjoys sharing stories about food, drinks and getting to know the people of the craft. She’s willing to hug all the animals, talk Beyoncé and be your BFF.